The Redfern Gallery is pleased to have participated in the IFPDA Fine Art Print Fair 2018 at the Javits Center, New York. Among the highlights were Grosvenor School linocuts, including iconic images such as Speed by Claude Flight and Concert Hall by Sybil Andrews. 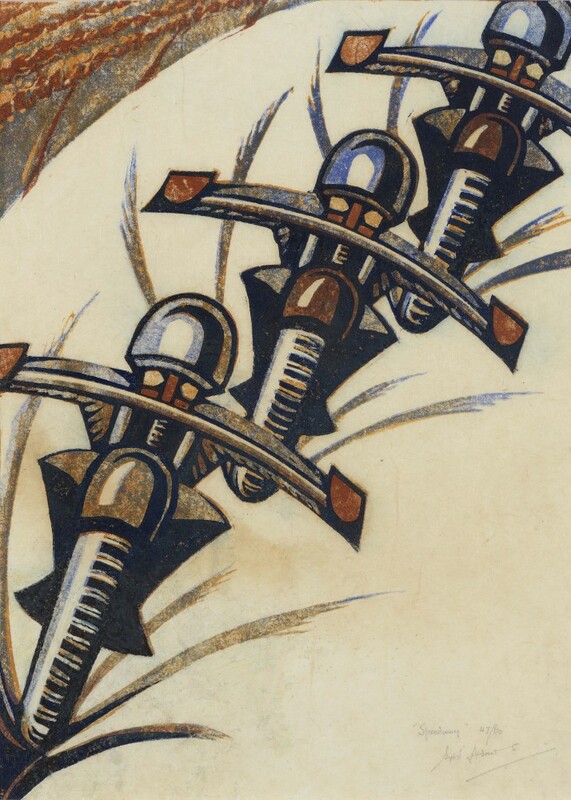 Also on show were rare proofs in unique colour combinations by Cyril Power, such as Acrobats, and a fine impression of Speed Trial, which contains elements that were altered in the final state. Further highlights included a number of early 1920s etchings by Graham Sutherland; prints from Barbara Hepworth’s acclaimed Aegean Suite portfolio of lithographs printed at Curwen Studio; and a selection of prints from the collection of the late Pauline Vogelpoel MBE, who was director of the Contemporary Art Society from 1976 to 1982. There were also prints by many leading 20thcentury artists, including Francis Bacon, Georges Braque, Marc Chagall, SW Hayter, David Hockney and Picasso.